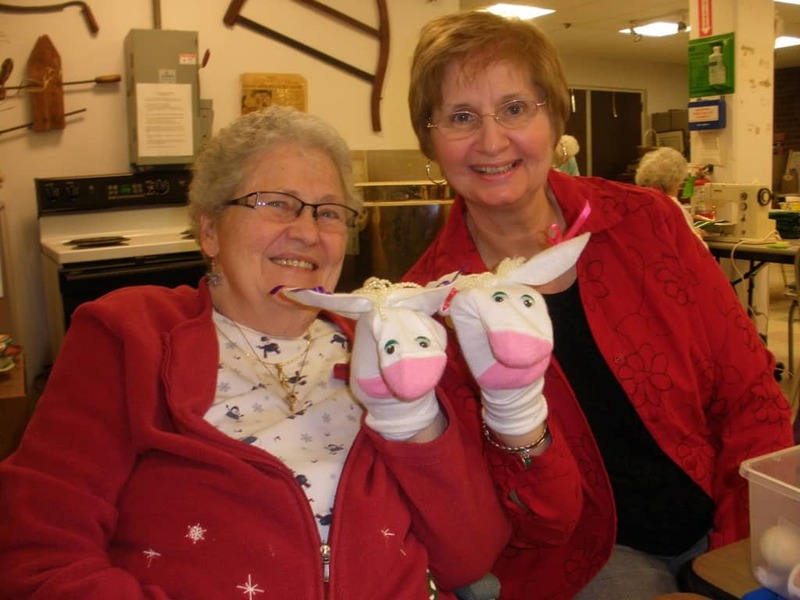 "Fighting illiteracy, one sock puppet at a time"
Judson Park volunteers proudly display their Miss Alice sock puppets. In 2015, we announced that changes were coming to our award-winning Richards Learning Systems® Curriculum. Richards Learning Systems® was developed by North Coast Education Services founder and president Carole Richards. The multi-sensory reading program introduces learners of all ages to phonics, linguistics, comprehension, and writing skills. Based on the works of Orton-Gillingham, Richards Learning Systems® has been effective in both children and adults — including those with learning differences. Now, with the help of the non-profit Creative Education Institute (CEI), Richards Learning Systems® is being transformed into a classroom program for schools. This project includes making videos, manipulatives, and raising funds to take the program to the next level. Eric Gordon, CEO of the Cleveland Metropolitan School District, has already committed several K-2 classrooms for the new Richards Learning Systems® program. The phonics component is projected to launch in Fall 2016. With such a huge undertaking, the Creative Education Institute has turned to the community for assistance in making Carole’s dream a reality. Many companies and individuals are donating their time and resources to the project. 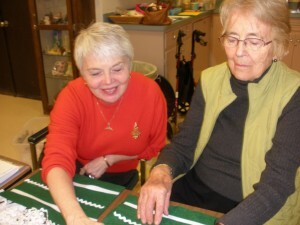 NCES President Carole Richards helps a Judson volunteer. Among the companies to step forward is Judson Park, a retirement community nestled near Cain Park in Cleveland Heights. A small group of 11 volunteers has been spending their Tuesday afternoons crafting manipulatives for the Richards Learning Systems® programs — including felt “touch paper” and dozens of sock puppets. These hands-on manipulatives help teach emergent readers the short vowel sounds and how to write their letters. We are incredibly blessed and thankful for the assistance of the Judson Park volunteers. With their help, we hope to cure illiteracy in our country…”one sock puppet at a time”. Click here to read more about Judson Park’s involvement in the Richards Learning Systems® program! Click the logo above to learn more about Judson Park.